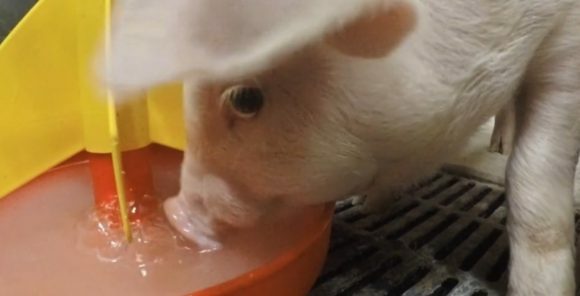 There is a belief among breeders of pigs, forged in the experience of generations, that piglets do not like to drink water or anything other than breast milk in their first days of existence. But just as the human world, the pigs’ is also subject to disruption. A series of scientific tests conducted by researchers from the startup Tonisity has shown that a major change in the eating habits of newborn piglets is approaching. The disruptive product developed by this startup is the Px, which was launched this year in the United States and Europe. The product will be presented at Eurotier, the greatest international fair specialized in livestock breeding and animals’ management, being held in Hannover, Germany from 15 to 18 of November. In 2016, the event will feature 2,523 exhibitors from 57 different countries and will occupy an area of 280,000 square meters. Tonisity will welcome the participants in Hall 20, stand A07. As it was proved by tests carried out on farms in Northern Ireland, Spain, and the United States, the Px can greatly contribute to overcoming some of the biggest challenges facing farmers in the delicate period from birth to weaning. The main purpose is to raise the survival rate of babies in the first few weeks after birth. The mortality rate is high due to crushing or suffocation during the piglets dispute to get a place in their mom’s breast. Some other reasons are diarrhea, dehydration, and low weight. The use of Px in piglet feed acts favorably, contributing to reduce mortality and increase productivity. The product acts primarily on the enterocytes – intestinal cells that constitute the last stage of the body’s proteins and carbohydrates absorption process. If the enterocytes work efficiently, the animal’s body absorbs more nutrients and grows healthier. The protein isotonic Px has also proved to be a pleasant drink to the pigs’ taste. This attractiveness is important to stimulate the consumption of the product when it is most needed. The administration of Px decreases the dispute to get a place in their mother’s breast, thus reducing the risk of crushing. In tests, the animals treated with the isotonic have also had a higher weight gain. Any possibility of adverse effects by the use of Px was also discarded. One of the tests carried out on a farm in Iowa, United States with 968 piglets from their second day of life has shown that, on the eighth day, the group of piglets that received Px as food supplement weighed on average 1.55 kg in comparison to 1.25 kg for the group that did not receive Px (the control group). On the 35 th day, the piglets from the Px group weighed 9.8 kg on average, compared to 8,78 kg in the control group. The mortality rate, in turn, was 10.3% in the Px group, against 15.1% in the control group. In another test carried out in Ireland, piglets fed with Px-based porridge weighed 370g more one week after weaning than the others that did not receive Px. After 13 weeks, the piglets of the Px group weighed an average of 4.78 kg more than those who did not receive the product. The use of Px as a supplement feed for piglets in the breastfeeding period proved to be very beneficial also for their intestinal morphology. In tests conducted in Spain with 608 piglets, it was found that those who received Px had a significantly better intestinal morphology than those who did not consume the isotonic. Furthermore, Px was used with great success as a substitute for water in antibiotic solutions when medicating piglets attacked by diarrhea. A total of eleven studies were carried out. 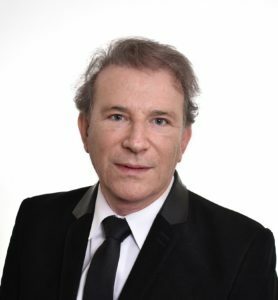 Dublin based, Tonisity was born in 2014 from a merge of a North American representative of isotonics for dogs and cats, an Irish manufacturer of domestic animals’ food, and the entrepreneur Arie Halpern, a disruptive and innovative business-oriented enthusiast. Artigo anterior Fasten your seatbelts. The Uber driver disappeared.